I wasn’t sure if I would write about this or not. I have shared many deeply personal and private things with my readers, but this is hard and humiliating and I’m not even sure why this is harder to share, but it is. So please be gentle. I have anxiety so bad and have had it for so long that I didn’t even realize how anxious my baseline state is until the first time I smoked marijuana and experienced what it’s like to feel peaceful. 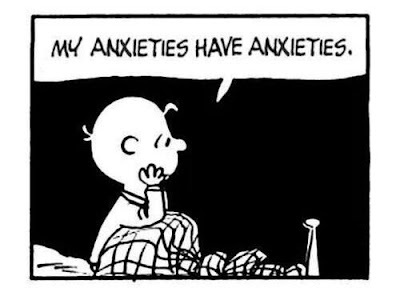 My anxiety makes every day a struggle. Even my good days are riddled with anxiety. As I said, it is my baseline state. I should add that therapy makes me more anxious. Every so often I struggle so much that I think about trying therapy again, despite knowing how hard it is on me. I get hopeful and decide to gamble on the off chance that this will be the time that I finally find a therapist who gets me and has the tools and training to make a difference in my life. That sounded promising, so I went. The entrance to the library was a sensory nightmare. I had to get past a food box hand-out at the door. I am glad someone was feeding people, but it made for a confusing sensory nightmare plus a big audience of strangers watching me trying to get information about a sensitive topic. Inside, I struggled to make visual sense of the room. There was a table with a person at it, but no sign identifying who they were or why they were there. It used up just about my last drop of processing to get to the table. “Yes.” And they waited for me to say more. Now … some of you are Autistic and some of you are parents to Autistics (and some of you are both). So you know what I’m about to say. I couldn’t make the words. And even if I could, I was not comfortable telling my troubles to a stranger in a very public setting. I see now, at least somewhat, what they meant and what I was supposed to say, but in the moment, it was too much. “I don’t do phone,” I blurted. This should really be an expected response from someone with anxiety issues, right? They tried to hand me the same pamphlet. I looked at it. It was for alcoholics and addicts. “I’m not an alcoholic,” I said, feeling lost and helpless and pretty certain the wizard had nothing in his black bag for me. I was sunk. It was back to the phone call. If I could have made a phone call, I would have done it already, not come to a table hoping to get information and answers about how [agency] might help me. “Thank you,” and I took off out the door, double time, to go sit in my van where I shook and cried, getting myself together enough to drive away. What was the point of putting someone on that table who didn’t know how to talk to anxious people and didn’t know how to educate a mental health care consumer about their options without being stressful and triggering? How many anxious people are not getting helped because access to services is blocked by the lack of accommodation for the very issue that brings them seeking services in the first place? There is something really wrong when helping agencies become access barriers to the people who most need their services. I tell myself it’s just as well: any agency that can’t even advise me without sending me into a panic is not going to be able to help me anyway. And therapy that is not helpful to me is often actively harmful to me. But getting help with my anxiety was still a nice dream while it lasted. My point here? If you are in a position to help or serve a vulnerable population, do your homework. Destroy the barriers your potential clients face in seeking your help. Be sensitive to the needs of your target population, and don’t leave them high and dry because they are too anxious to make the right words, and too put off by your continuing to offer things they’ve already made clear that they can’t access. That’s all. Vulnerable populations trip over our own feet enough as it is. We don’t need to trip over yours, too. A version of this essay was previously published at Unstrange Mind.